The Saudi Crown Prince has started a crackdown against corruption and locked up his close relatives and one of the wealthiest people of the country. He is announced the 500 billion dollars project of building a mega economic zone named as NEOM in the border region of Saudi Arabia, Jordan, and Egypt. It is the part of Muhammad Bin Salam’s “Saudi Vision 2030”. He wants to decrease the Kingdom’s dependence on oil, diversify its economy, and develop public service sectors. Last year he bought a $500 million yacht of a Russian tycoon while holidaying in the south of France. Besides this, the young prince has done two more luxury deals this year. Last Month, Salvator Mundi, a painting of Christ by Leonardo da Vinci was sold for a record-breaking price of $450 million. 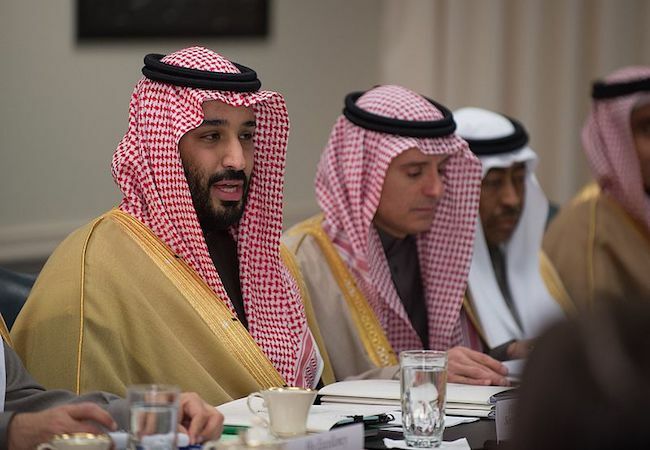 The New York Times reported that the Prince Bader bin Abdullah bin Mohammed bin Farhan al-Saud, member of the Saudi royal family placed the final bid. According to U.S. intelligence officials who keep a close eye on the kingdom’s young and powerful crown prince told the Wall Street Journal that Bader was just a proxy for crown prince Mohammed. Last week, Prince bought “the world’s most expensive home”, The Chateau Louis XIV, a 50,000 sq ft palace near Versailles that Kim Kardashian once considered as a potential wedding location for around $400 million. People around the Middle East find this luxurious shopping of Prince MBS very astonishing especially when whole Muslim world is talking about Palestinian people and Jerusalem. Tweets from Qataris suggested that MBS could spend this money on his own people by offering them tax cuts and by providing better housings for ordinary Saudis. Popole from other Muslim majority countries have also raised their eyebrows on the spending of the MBS. Many people consider Saudi Arabia as leader of Muslim world and expect reasonable action by its side especially at the time when whole Muslim World is worried about future of Palestine. Tweets from Qataris and others are suggesting that the money could have been spent better on housing ordinary Saudis, or offering them tax cuts. Same reaction is coming from Muslims outside of the Gulf. If we look at Saudi rival Qatar, Qatar is one of the rising powers in the Middle East and beyond, a prominent figure of century world politics. Qatar is much smaller than Saudi Arabia and has a population of 250,000. It has comparatively weaker army or limited military capabilities, but it has been very successful in demonstrating its Soft Power. It has proved that if Saudi Arabia can do its boycott, they can still beat Saudis in other spheres. Qatar has applied intensively active diplomacy in regional conflicts, invests strategically in shares of international companies, controls the most influential Arab news channel – Al-Jazeera– and succeeded to be awarded hosting rights to the International Federation of Association Football (FIFA) World Cup 2022. Similar Soft Power concept describes the splashing money strategies of Saudis and Qataris to demonstrate their international influence. But more than international influence, both of these countries are dodging each other. Both of these countries are providing empirical evidences for the IR theories that power is not purely military power but also includes material and financial resources as well as diplomatic skills.